A MUSSELBURGH swimmer scooped a top accolade at the Lothian Disability Sport Autumn Gala at the Mercat Gait Centre in Prestonpans. Sam Downie, a member of Musselburgh Amateur Swimming Club, was awarded the Mark Headden Memorial Trophy for 2018 for his achievements and development as the most improved swimmer of the year; and recognised as an “outstanding” ambassador for disability sport. A para-swimming athlete, he was named Lothian Disability Sport Young Person of the Year in 2017. It was considered that 12-year-old Sam had “demonstrated a maturity beyond his years” in managing his condition caudal regression syndrome – a rare congenial condition in which there is abnormal foetal development of the lower spine. He is missing his sacrum, the lowest portion of the spine that forms the joint with the hips. Through all his health setbacks he has been “committed, determined and dedicated to swimming with a quiet, hardworking and cheery disposition”. Sam overcame a wrist fracture, problems with tendons in his foot, infections and surgery in the past year which have taken him out of the water for considerable periods of time. Despite this, he has still attended training to assist the younger swimmers from the poolside. He has taken on increased training at the same time as starting secondary school at George Watson’s College in August, with the increased academic workload and daily routines of his healthcare and physiotherapy. It was felt that “he approached all of these extra demands on his daily life with quiet discipline and enormous determination”. Sam joined Lothian Racers Swimming Club at the age of 10 and became a member of Musselburgh Amateur Swimming Club soon after that. 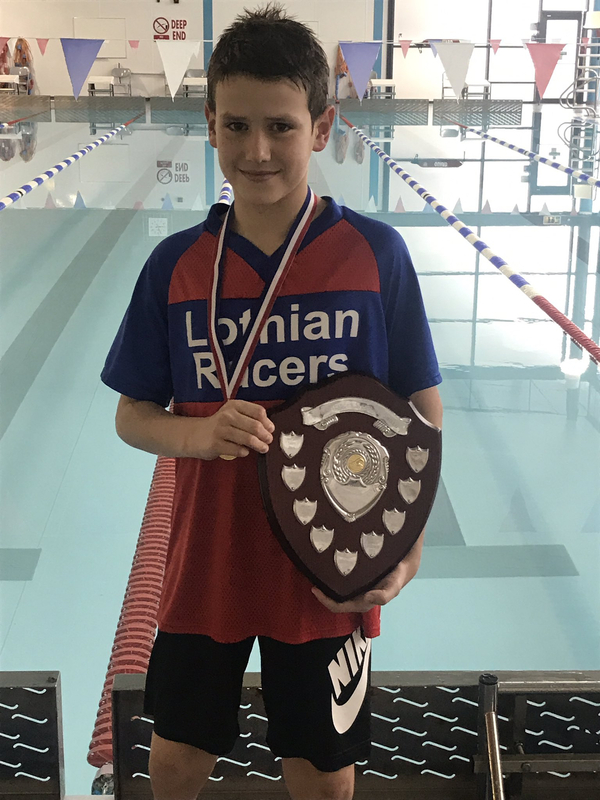 Recently he was invited to join East Lothian Swim Team’s development squad for additional training to assist and progress his potential to the next level. Sam is also a member of the National Scottish Junior Squad and last year swam for the first time at the British Para-Swimming National Championships in Manchester where we won two bronze medals.